Rich Pomerantz is a freelance photographer who lives on the New Milford-Washington line. 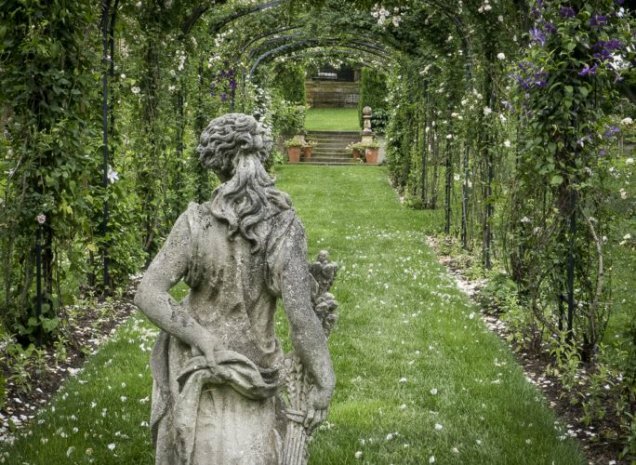 Rich’s images have appeared in diverse periodicals ranging from Garden Design, Horticulture, Fine Gardening, Organic Gardening and Outdoor Photographer to Coastal Living, Traditional Home and National Geographic publications and books. Rich has taught photography at the NY Botanical Gardens, The Massachusetts Horticultural Society, and at his studio in New Milford. He continues to travel to photograph on assignment and on his own, both in the US and abroad. A former real estate lawyer and law professor, Rich has found a way to combine that knowledge with his photography and marketing skills as a real estate agent with Berkshire Hathaway. Rich has published three books of his photographs, Wild Horses of the Dunes, by Running Press, Great Gardens of the Berkshires, published by Down East Books and Hudson River Valley Farms, published by Globe Pequot Press.